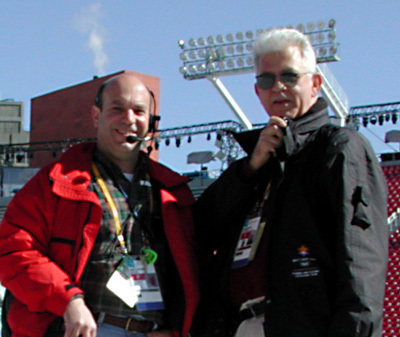 Larry Estrin worked as the technical director for the Salt Lake City Paralympics. 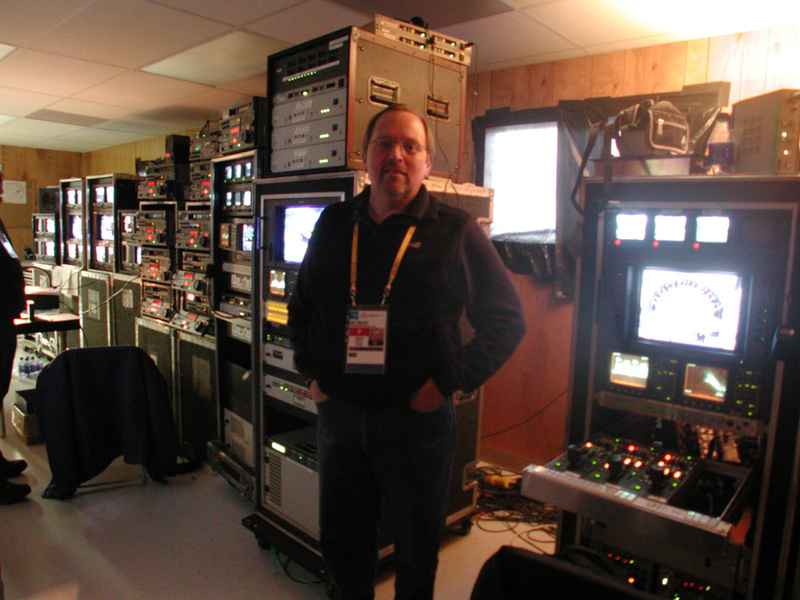 Pete Erskine managed comms for the opening ceremony and TV audio mix for the closing. 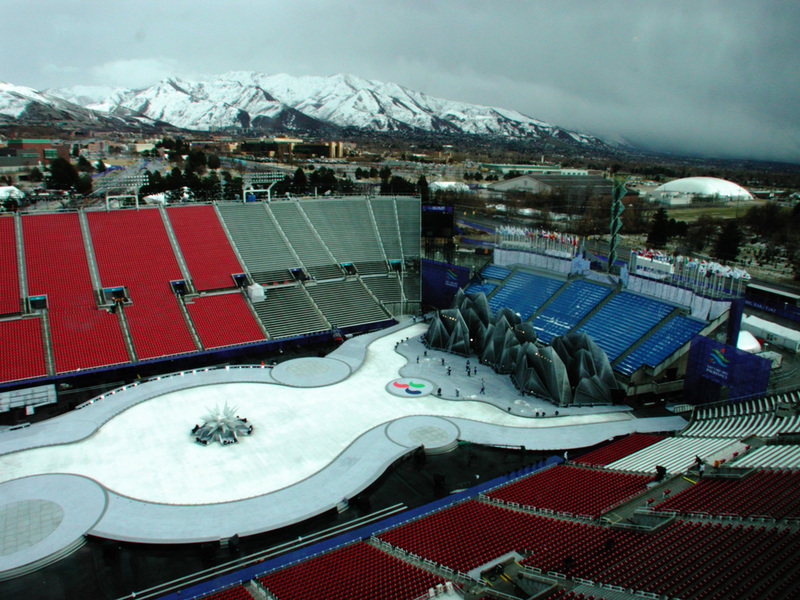 The Olympics and Paralympics in Salt Lake City was the first use of Riedel intercom in the United States. View of the stage from the comms control room through the stage manager’s room. Note the Riedel DSP desk panels. Pete Erskine and Gary Lanzisero during setup. 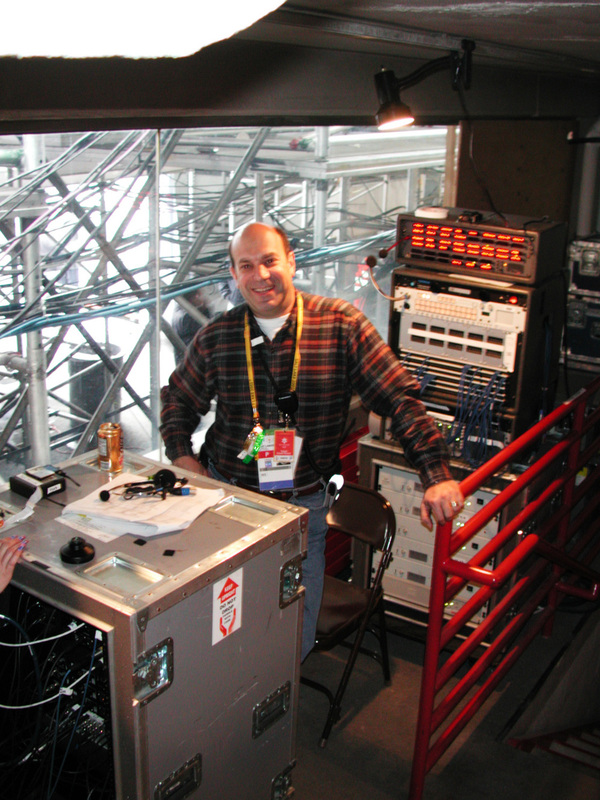 Gary handled all of the wireless intercom and IFB systems. The entire crew of the SLC Olympic closing ceremony, including Rayne, the star of the show. 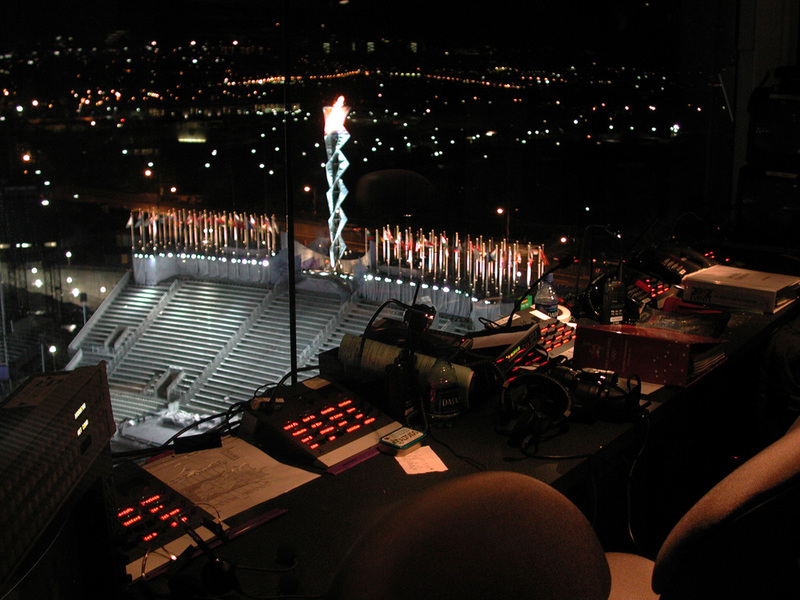 The lighting, sound and stage manager tower for the closing ceremonies. Closing ceremonies for the SLC Paralympics at the Medals Plaza Stage featuring the Hoberman arch front curtain. Gary Lanzisero at the stage end of the system. He managed all of the RF comms. 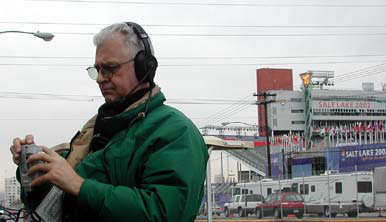 Pete Erskine ringing out the comms to the Pyro area across the street from the stadium. 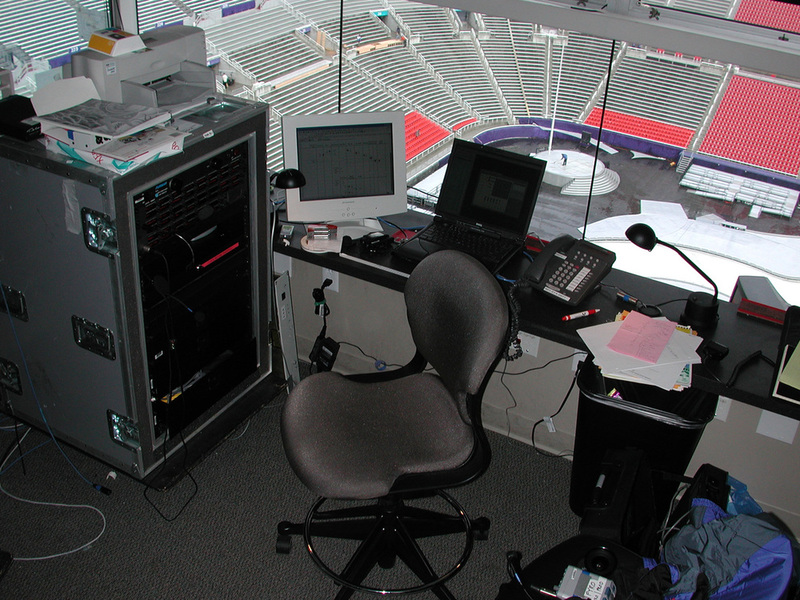 The remote dial-up located across the stadium from the main control room, interconnected with twenty-five pairs of balanced RTS cables. 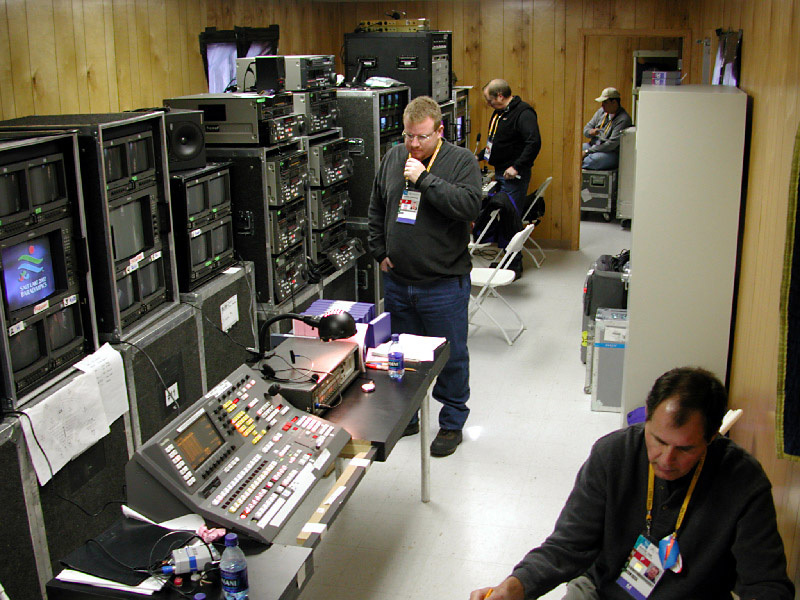 This system was designed by Keith Hall and David Brand from Intercom Specialties for the SLC Olympics. 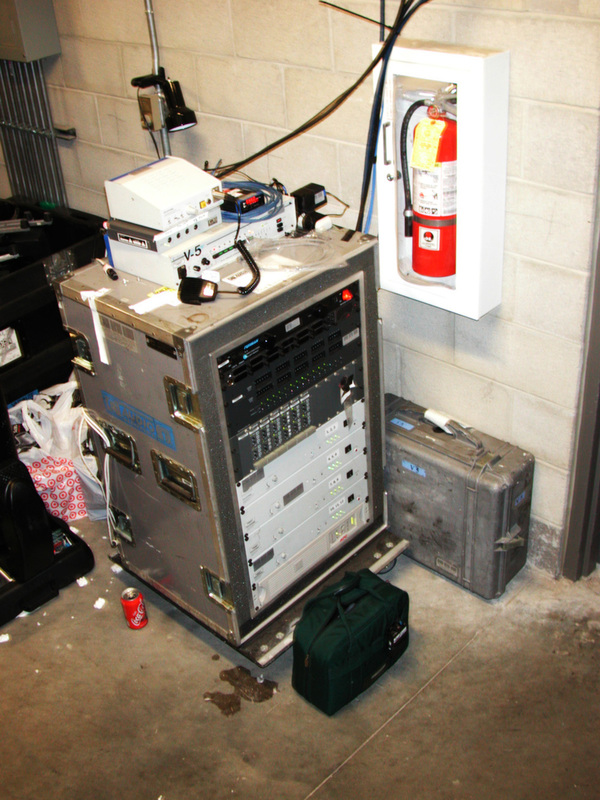 This was the backstage wireless service station. 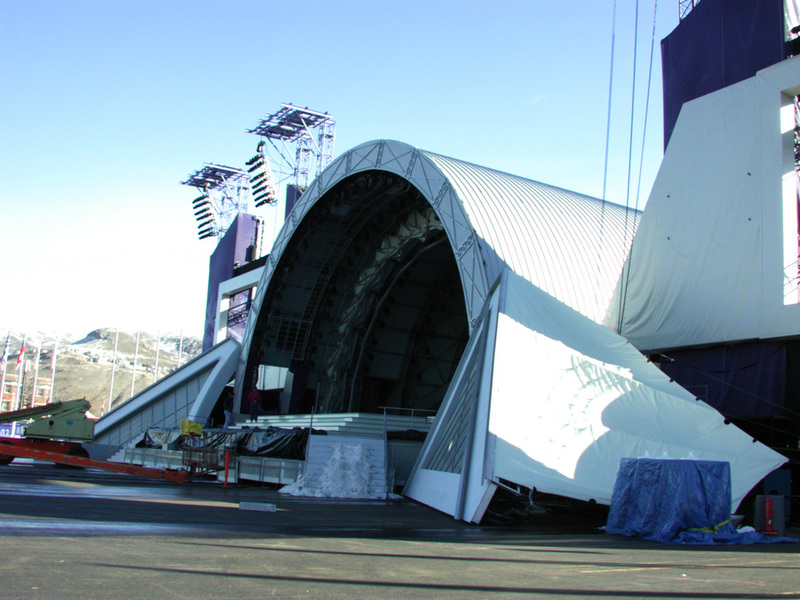 The Paralympics stage featured the same ice as the Olympics closing ceremonies, but the set consisted of many tons of steel mountains. Ed Anderson (center) was the Tape Operator. He managed seven Iso and two line cut record decks, as well as one playback. Wayne (lower right) was the director. 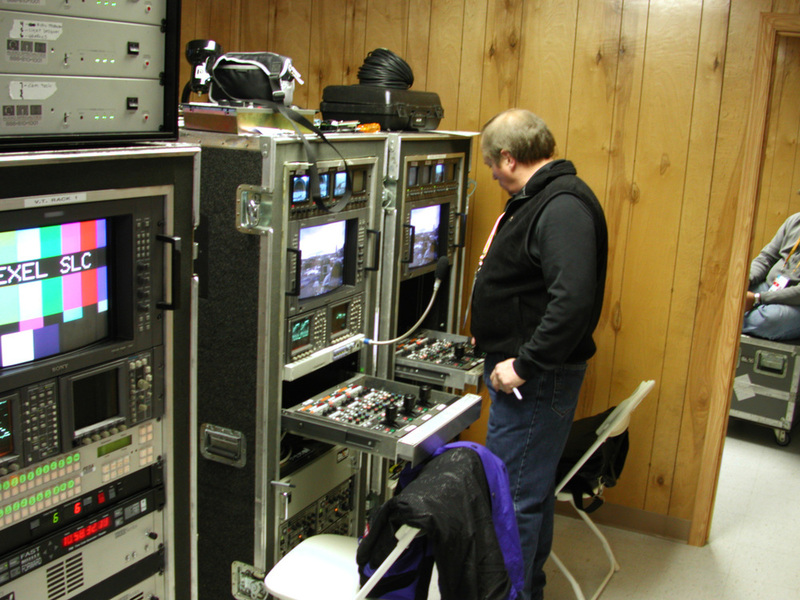 Closing ceremonies tape and camera control. Another view from the control tower.